Dentanurse has often been approached to supply the Dental first aid kits to adventurers travelling to parts of the world where dentistry is impossible to obtain. The Dentanurse first aid kit for teeth has been taken on round the world yacht races and into the jungle by Operation Raleigh and this February a Dentanurse kit was taken on a expedition to The South Pole. 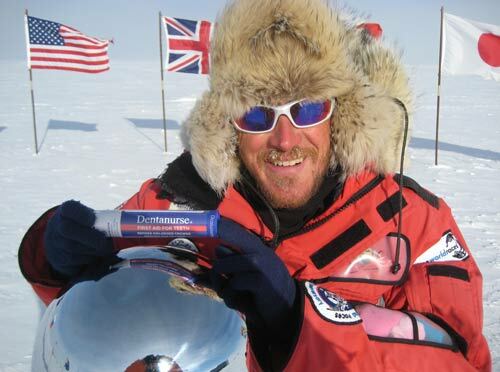 The Dentanurse kit was recently included in the equipment taken to the South Pole by Dr. Ian Davis a Cotswold based GP. Ian has been the doctor responsible for polar medical safety on two trips to the magnetic North Pole for the BBC (once with Dr. Michael Stroud and once for the BBC programme Top Gear). He has also been polar advisor to the Discovery Channel presenter Bear Grylls. Dr. Davis is one of the contributing authors to the polar medicine chapter in “Wilderness Medicine” regarded by many as the definitive text book for practising medicine in extreme environments and he also edited the polar medicine chapter in the “Oxford Handbook of Wilderness Medicine”. It was therefore very gratifying to have the feedback from Dr. Davis that he’d used the Dentanurse kit in temperatures of minus 45 and it had worked well. The expedition to The South Pole this February was to commemorate the centenary of the historic race to The Pole between Scott and Amundsen. Co-incidentally it was on a snowy ski slope that the concept of “Dental First Aid” came to Dental Surgeon Tony Lees when he lost a filling in freezing temperatures. Returning to his hotel he tried to seek help from the local dentist only to be told that the dentist had broken his leg skiing. Tony then set out to locate a pharmacy in the hope of purchasing some zinc oxide and eugenol to make his own repairs but had no luck with this either. He spent a miserable week with an exposed nerve being subjected to the contrasting temperatures of the chilly slopes and the warm hotel. Returning home he reasoned that many holidays must be ruined by what is one of the most common dental accidents …the lost filling! It was 1985 and a quick search revealed that the only dental first aid kit was one put together by NASA for space travel. So Tony set about making his own and the Dentanurse First Aid Kit for teeth came into being. This involved a steep learning curve with visits to plastics factories to discuss and design the components and learn about ‘medical grade’ plastics then on to pharmaceutical packagers. The pastes had to be formulated to be ‘layperson’ friendly and as a Dental Surgeon Tony wanted a paste that would always ‘deform under the bite’ so as not to create further problems when first aid was applied. The Dentanurse First Aid Kit for teeth is an entirely British made product, from the idea on the ski slope, to the first kits going into Boots Chemists and dental surgeries. 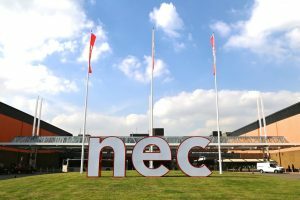 Tony wondered what the reaction of his own profession would be to the kit but he need not have worried for when the kit was first shown and demonstrated at a Dental Exhibition the support from the profession was overwhelming and dental surgeons were soon selling the kit through their dental surgeries. This was the time of AIDS and Hepatitis B and the Government was urging people not to seek dental treatment when travelling abroad. The kit was a very necessary item for those travelling, especially to countries where sterile supplies were in short supply. Nowadays the Dentanurse kit is an important item for home use as well as for travellers. 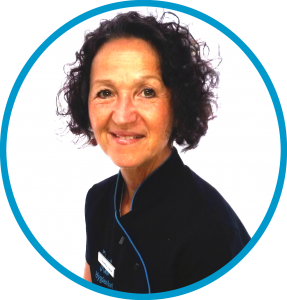 Anyone dislodging a Crown late on a Friday evening, need not spend the weekend embarrassed and unable to smile, a quick trip to Boots or Lloyds chemists will restore their smile until they can seek professional help. There are clear instructions for use and the unique paste in the kit will re-cement a dislodged Crown and the same mix when left to set will make a temporary filling. There is enough paste to make approximately six repairs. The kit is purely temporary and it is stressed in the instructions that professional help must be sought as soon as possible. The Dentanurse kit was invaluable on a recent holiday to the Cape Verde Island of Boa Vista. Tony complained loudly that there was something ‘hard’ in his food and looked somewhat sheepish when one of his Crowns clinked on to his dinner plate …not a very appetising sight for the fellow diners! Thankfully in the suitcase was a Dentanurse kit that had travelled the world with him for many years. Back in the hotel suite Tony mixed the two pastes together (as per the instructions that he had written himself) and re-cemented the Crown, thus saving any damage to the tooth and any further embarrassment. So whether you are on a desert island or following in the footsteps of Robert Falcon Scott you need to pack a Dentanurse Kit if you are going out and may be some time!